Just as there are astonishingly high aspirations in Davos ("improving the state of the world"), the theme "resilient dynamism" might just be the most mocked theme in a decade of Annual Meetings. A CEO of a global bank commented to me this morning that, surprisingly, "economies have proven to be resilient, even without dynamics." Other ironies abound: Where else but in sleepy Davos would someone pay between 500 to 1,000 euros per day for the comforts of a youth hostel? 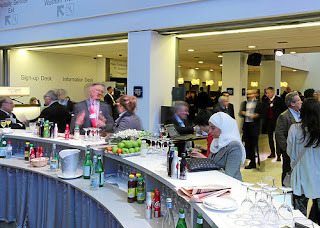 Although the Annual Meeting attracts some of the most sophisticated – and certainly some of the most spoiled – people in the world, the food is, frankly, awful. And, thumbing their noses at the "Green Davos" campaign, are the rows of limousines and SUVs lining the streets of this city, while Smarts and electric cars have to contend with a lot of paperwork and checks to be able to drive up here in environmentally-friendly style. 1. There is a general sense of relief that Europe has overcome the worst of the crisis. Politicians, such as German Chancellor Angela Merkel, were largely credited for exhibiting the needed leadership and guidance. 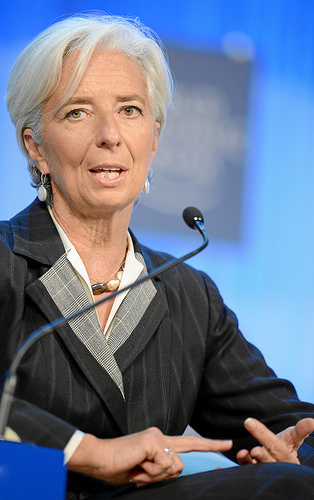 European Central Bank President Mario Draghi and IMF Managing Director Christine Lagarde were also singled out for doing the difficult but right thing. 2. The "New Normal" is as yet unclear. I perceive that the Davos crowd is still consumed with analyzing the crisis – the mistakes made, the remedies required and how to avert mistakes in the future. 3. Growth is the main concern on everyone's mind, putting Europe again at the center of the conversations. The outlook for China and the US are quite positive over the short and mid-term, but it seems there is agreement that Europe still faces significant challenges. 4. Europe is confronted with challenges about its competitiveness compared to other regions of the world as well as within the European Union itself. To overcome these, Europe needs to boost innovations and entrepreneurship, develop talent and enhance mobility, and further improve internal markets. These points came up in the findings of "Rebuilding Europe's Competitiveness", a joint initiative by Roland Berger Strategy Consultants and the World Economic Forum. Most speakers and panelists in Davos agreed with the study's conclusions and are advocating more concrete action. Ms. Merkel already announced yesterday a new European pact on how to eliminate the biggest roadblocks to better markets in every country in the EU. 5. As can be expected, there was no shortage of controversy around the EU this week. British Prime Minister David Cameron's speech caused business leaders to raise their eyebrows. I believe Cameron's statement cast concern and uncertainty over long-term stability and growth in the UK, and this affects investor confidence. On that note, I was briefly quoted in a German news program last night on the UK's departure from the EU. 6. On the subject of free trade, it seems the consensus is that the era of multinational agreements is over, and the time has come for more bilateral agreements. As proof of this, China and host Switzerland signed theirs during the WEF event. 7. Resourcing was a buzzword in Davos, as companies signal they might relocate production to their home countries due to rising costs of labor overseas. 8. This resourcing trend, which has made reviving production in the US more attractive, is mainly due to sinking energy costs there, owing to fracking. Investors are putting pressure on countries where production is largely based to consider new energy sources, such as nuclear power, or to establish political consensus to allow industries to take advantage of them. German business leaders raised those concerns in Davos, saying that the absence of clear political direction over an Energiewende would wipe out hard-earned competitive advantages. 9. At this Annual Meeting, many observers say the US, India and China were markedly less energetic in their participation. This could have had the effect of skewing the discussions here more toward Europe and Asia. 10. Finally, one truly international issue was tackled in Davos and was the centerpiece of Friday's talks: the role of women in business and society. Naturally, there was no one who disagreed with the premises, and no one who said that enough has been done for the world's women. Today is Day 3 in Davos, and the work continues. Stay tuned for my Davos roundup, and thanks for reading.